Oh, sweet sweet summer! Whether you’re hanging out on the beach or traveling to your favorite destinations we are sure you are loving the sun! Everyone loves Summer and especially fun summer jewelry. Below are our teams top picks for the best go-to accessories for Summer! On the top of our list are our most beautiful floral Love Cures Bracelets, Morning Glory and Daffodil love! They are bright, fun and make a true fashion statement! They also look fabulous with a bold colorful swimsuit or patterned summer dress. our Emily bracelet. This bracelet is so versatile you can wear it with just about anything but it looks exceptionally beautiful paired with a fun summer skirt and blouse! It doesn’t matter what outfit you are rocking this summer because our handmade Love Cures Bracelets are sure to make any outfit shine bright! Don’t forget 50% of all money raised from purchases from the Love Cures Collection goes directly to Stand Up To Cancer. Together we will find a cure! We have been seeing this color all over the runways this season and we know it is going to be popular through the Summer season, Royal Blue! Who else loves this color? It is a color you can wear with just about any outfit and make a fun fashion statement without even trying. Our fun, Hawaiian Blue Love Cures Bracelet is the perfect go-to accessory for the beach, or having some fun in the sun! 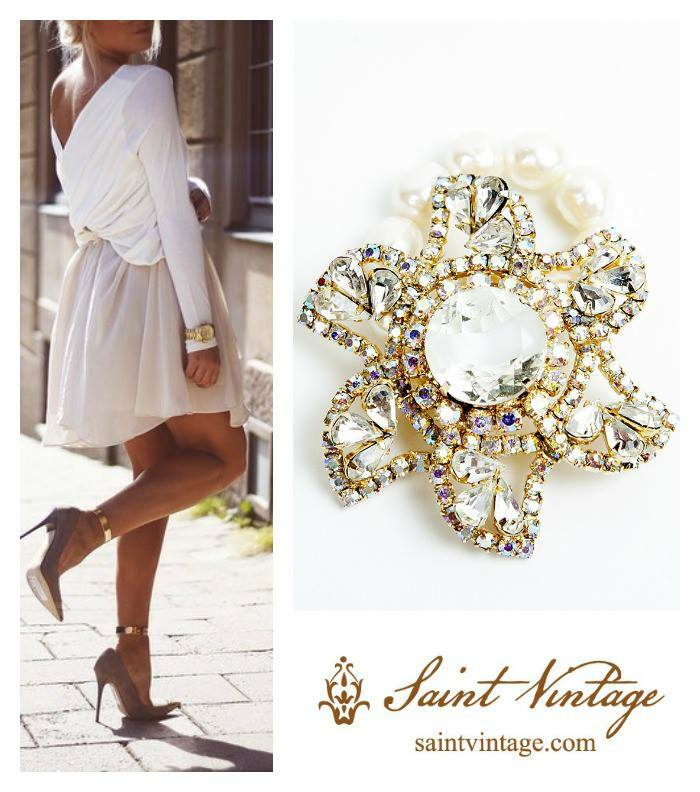 Being lightweight with a handmade Saint Vintage charm on the clasp it will sure turn some heads. Do you know what else looks fabulous with this bracelet, a splash of blue on your nails for a great summer look! If you are looking for more of a “date night” type of jewelry then our Erica Love Cures Bracelet would be the first accessory we would go for! Truly unique and handmade this Love Cures bracelet is made with an antique brooch, vintage beading and is adjustable to fit any size wrist. 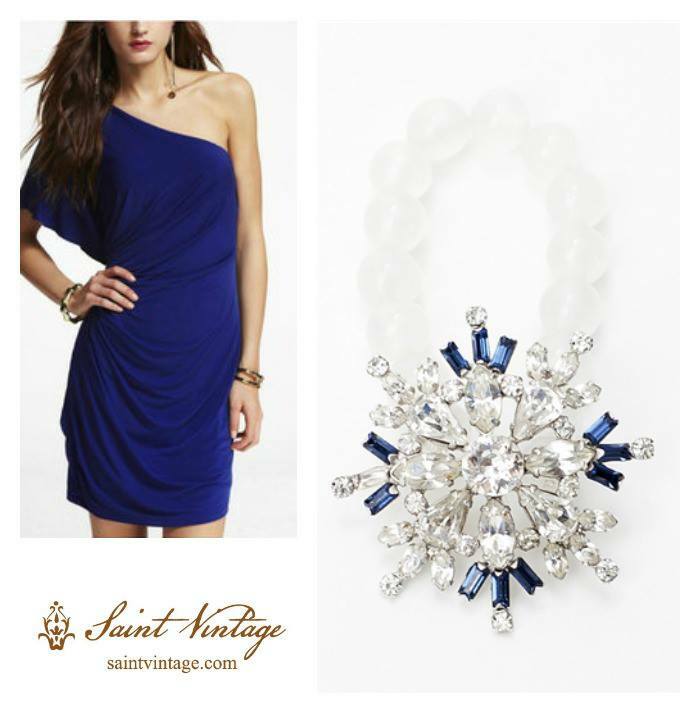 We would pair this Love Cures bracelet with our favorite blue dress, how would you wear it? For more inspiring, Summer looks and tips check out our Pinterest boards and we will follow you back! 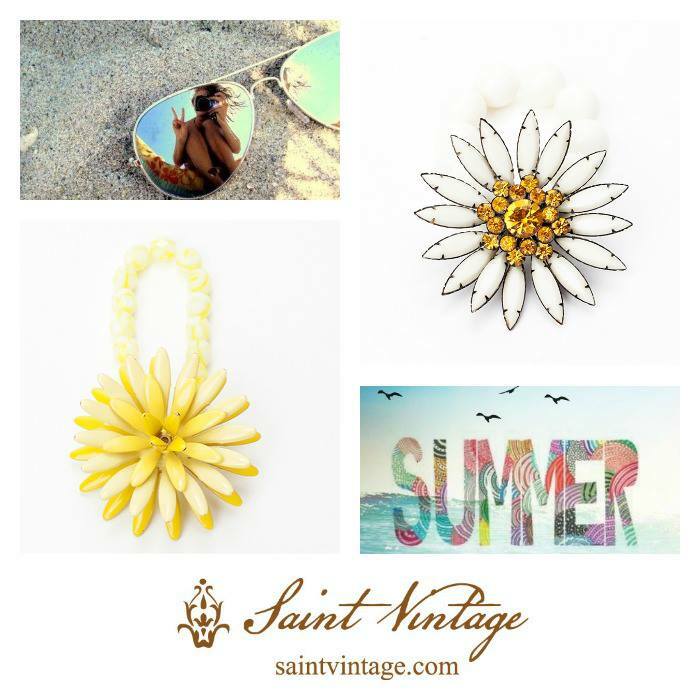 Don’t forget, Saint Vintage donates 50% of sales from our Love Cures Collection to Stand Up To Cancer– so start shopping now & give back!